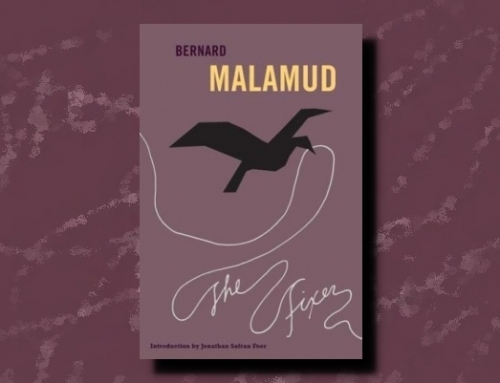 Later this month, The Library of America will publish the first two of what will be three volumes of Bernard Malamud’s work: Malamud: Novels and Stories of the 1940s & 50s and Malamud: Novels and Stories of the 1960s. Before these volumes arrived, I’d read only The Fixer (included in the second volume), and that was five years ago (my review here). Since then, I’ve been meaning to read more of his work, particularly his short stories collected in The Magic Barrell, which John Self of The Asylum praised the other day back in 2010 (here). The stories in The Magic Barrell are spread out over these two volumes, and I’ll be getting to them and the rest of the collection soon because this is exceptional stuff. Review copy courtesy of The Library of America. But I’ll start with Malamud’s debut novel, The Natural (1952). I have mixed feelings towards it — knew that all the way through the book — yet I couldn’t put it down. I still remember just getting in to baseball and seeing Robert Redford play Roy Hobbs in the 1984 film adaptation. At that point in my life, I loved it. I loved that last scene, all the spectacle in slow motion. But revisiting the film later in life left me incredibly disappointed. What a cheesy, sentimental, disingenuous bit of myth-making, I think now. Did I really want to read the book? Well, one night in early January I started it and, though I knew what was coming due to the film, I still read late into the morning. The opening section of the book is rather well ingrained in my mind, since I saw the movie many times when I was too young to understand what I was seeing but old enough to be shocked. It’s the early to middle part of the twentieth-century, and baseball has been around long enough to run through a classic period, but it’s still relatively young. We meet the nineteen-year-old Roy Hobbs on a train to try out for the Chicago Cubs. He is the natural of the title, the baseball player destined to break all the records. He just gets it, he’s always in the zone, it’s almost easy for him. There’s no question he is going to play in the big leagues. On the train he meets baseball’s current sensation: Walter “The Whammer” Whambold (who, I hear, is based slightly on Babe Ruth). The Whammer is accompanied by a beautiful, mysterious woman named Harriet Bird, and neither of them show much interest in Roy. But when the train gets delayed near a carnival, Roy shows off his throwing arm and, to everyone’s surprise, strikes out The Whammer easily. Suddenly everyone, including Harriet, is interested in Roy. They arrive in Chicago, and Roy is thrilled when he receives a call from Harriet, who is at the same hotel. She invites him to his room where, after she makes sure Roy really is going to be the best baseball player there ever was, she shoots him in the stomach. The next section moves us fifteen years into the future. We know little about what Roy did in those fifteen years, but here he is trying to get a position as a baseball player on the fictional National League team, the New York Knights. No one knows Roy’s history, and everyone is skeptical he can play at all, let alone well, as a rookie at his age. The story proceeds to tell us the ups and downs of Roy’s first — and only — season in the major leagues, when he finally has the opportunity to prove himself. And, yes, a lot of it comes across as sentimental myth-making, though the novel is much darker and pessimistic than the film. Roy has a special bat he himself made, called Wonderboy, and with it he can hit almost anything. He goes through hitting streaks that are all but unheard of in real life. The women in Roy’s life are overtly good or bad, and the represent hyper levels of malevolence or beneficence. But Malamud did this intentionally. He was setting out to write a myth about baseball, and The Natural is heavily based on the legend of Sir Perceval and the Fisher King. The Knights’ manager, who is seeking the elusive National League pennant, is even named Fisher. Roy is the knight who might save Fisher and heal the Waste Land in the process. And, I have to say, even though while reading it I would flinch when the symbols became too blunt — like when Wonderboy is split in half (by lightning?) — there is a part of me that never got over my love for the story — I enjoyed reading this book as much as any other book I’ve read this year, even though it’s not, in my estimation, a great work. The little boy in me still finds Roy Hobbs a fascinating character on his quest to prove himself. I still want to see him play baseball. I’ll be buying at least one volume of the LoA Malamud, so much of his that I haven’t got round to, including The Natural, which I’ve always avoided as I pretty much knew I’d love it. I know it’s widely considered (as it is by you) a lesser Malamud effort but I really look forward to it. I did love it, though, Lee. There was something about the writing that perfectly matched the thrill I feel when I watch a favorite athlete perform. I hope you’ll let me know your thoughts. Next up for me, The Assistant (with some of the short stories).